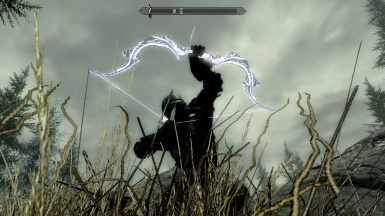 This mod is free for all users to do with as they choose. In the unlikely event that anyone wants to use any of this mod in their own work please send me a link in the comments so i can have a look. 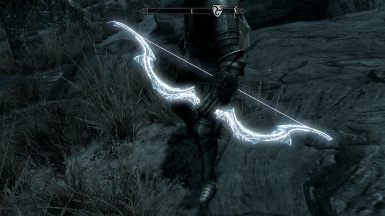 This is just a simple mod which changes the mesh and texture for the summoned bow to an altered version of Auriel's Bow; there is no flame effect as with the vanilla version, but if anyone out there wants to add the effect to this mod then feel free (let me know if you do so that I can download it). This also has an optional file included which changes the arrows to an altered version of the eleven arrows, you can download this at your discretion. Version 1.1 finally released, I hope you enjoy it. 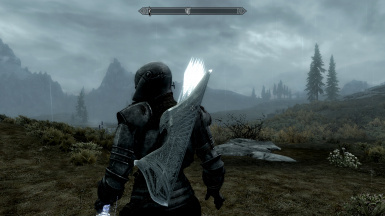 This mod is now fully compatible with non-dawnguard installations. 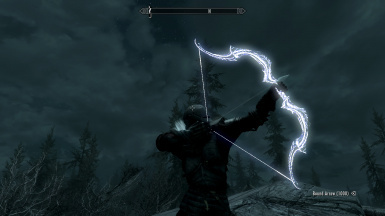 This should be compatible with any mod that does not change the appearance of the summoned bow and arrow, but if you find a mod that it's not compatible with let me know and I'll post a list for everyone. simply copy the contents of the 7-zip file skyrim main folder, the path for which should be one of the following two: c:\program files\the elder scrolls V skyrim or c:\program files\steam\the elder scrolls V skyrim. 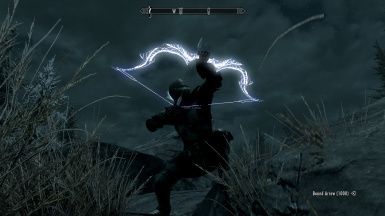 - in order to recapture some of the lost spirit of the vanilla bound bow I have added a glow map to give the bow the look of energy compressed under pieces of a bow. Although this is not the same as the flames around the bow being refracted to create as on the vanilla version, I find this a more appealing and i hope you do to. - the moonstone areas have been made to appear more dull so that they contrast more with the glow and make it appear more powerful. 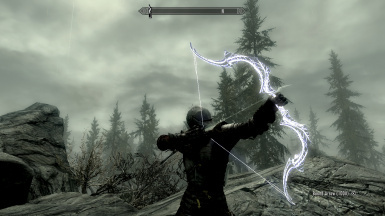 texture files changed significantly to give the bound bow, quiver and arrows a little more substance.